Are you looking to do something a little bit different this year with your students? Are they tired of writing essay after essay? 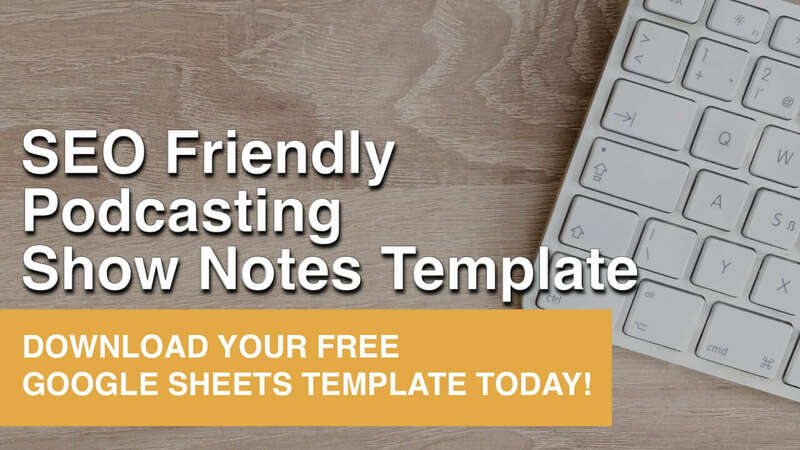 What if there was a way that you could combine traditional writing assignments with the popularity of audio/video podcasts in a format that was accessible to any mobile device, Chromebook or desktop available to your students? 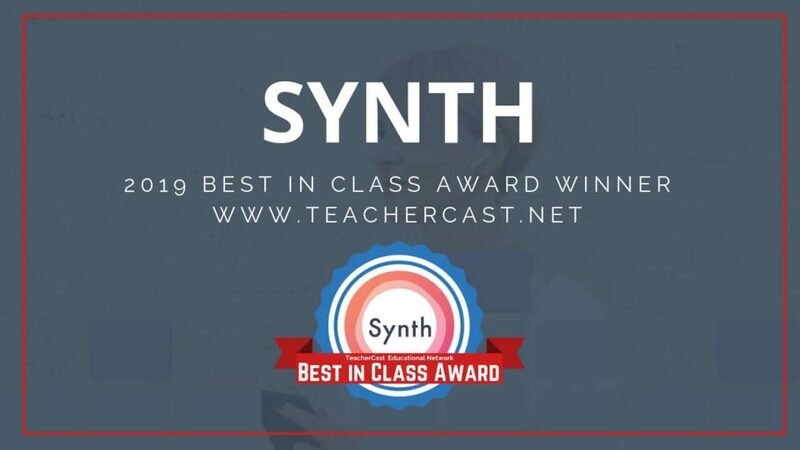 Today, we are proud to announce that Synth is being awarded the 2019 TeacherCast Best in Class Award for Best Classroom Podcasting Application. Created by the same company that brought you the Swivl, Synth’s are short audio/video clips that can be used to help students learn curriculum in an extremely dynamic format while giving teachers the ability to flip their classrooms easier than ever before. 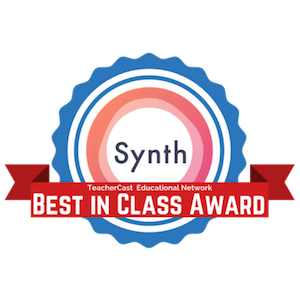 Personally, I think Synth is an application that belongs in every classroom no matter the grade level or subject area. There are currently more than 700,000 podcasts featured in the Apple Podcasts Directory with more than 3,000 new shows arriving each week. It’s no wonder why teachers are turning to Podcasting as a new way to deliver instruction. If you are interested in learning how to Podcast with your students, please check out our new website, www.PodcastingWithStudents.com to learn more. Let’s take a look at exactly what Synth can do for you and your students. Synths are 256-second audio or video sound bytes that you can share publicly or privately with your students. Public Synths and Podcasts can be shared and searched for and cover hundreds of educational topics. Synths and Podcasts can be created on your mobile devices or on your Chromebooks/Desktop providing students the ability to create podcasts on any device available to them. 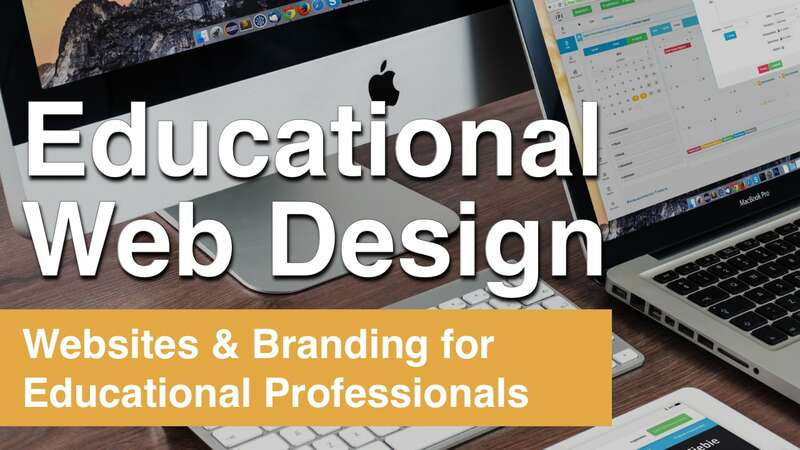 Audio and video files can be embedded with dynamic transcriptions on every website platform … including Google Sites! Students can learn about Digital Citizenship by creating conversations, or reply to other Synths. This is a great feature for creating classroom discussions. What is the benefit of using Synth in the classroom? I am of the strong belief that we as educators have 13 years with our students to prepare them for one severely important moment in everyone's life. That moment is when they sit across a table from another and have to answer the question, “Tell me about yourself.” For many students (and even teachers) this moment is terrifying. For many of us, the thought of having to speak in public is extremely terrifying. This is where Synth comes in. By using Synth in the classroom and setting up a series of activities, assignments, and assessments that require and encourage students to think with their voices, it helps prepare them for their futures. There are so many advantages to bringing audio and video assignments, such as podcasts, into their classroom (as explained below) that using an application such as Synth is a no-brainer. Plus … it’s FREE! Who is Synth intended for? Synth is an audio/video recording and publishing platform that is designed for teachers and students of all age levels. I have had the opportunity to work with Synth both in the early elementary grades as well as in advanced high school level courses. Synth is completely free and always intends to be free for schools and teachers! How else can Synth be used in the classroom? Are you hosting the big game this weekend? Wouldn’t it be great to use Synth as a way to recap each quarter of action? Because Synths are tiny pieces of audio, they can be easily consumed by those in the stands and at home to stay right with the action each week. Synth is a perfect tool for morning video announcements that can be subscribed by both teachers and parents. Recently, I have been using Synth as a replacement for having students write 5-Paragraph Essays. By creating multiple podcasts and joining them in a sequence, students can replicate the Intro-Body-Closing style of longer writing assignments. This allows those students who are more auditory or visual learners to enjoy learning. As a music teacher for more than 15 years, it was extremely difficult to have each student come in and do an individual playing test. Synth provides an easy way for each student to take an audio/video recording of themselves and send it to the teacher for quick and simple assessments. Many students and teachers know the value that a good screencasting application such as Screencastify can have in creating flipped classroom videos, however, the advantage that Synth brings over traditional screencasting applications is that it can be also used as a document camera to create short videos of things in real time and in real space. Do you have a webcam? Why not use Synth to create an introduction video for your next website project! As referenced on the Synth Blog and Free Tech for Teachers, Synth is the perfect application to help check for understanding at the beginning or end of classes. How does this product fit into a curriculum? For many teachers, creating a system of learning around the 4C’s is critical to creating an engaging digital classroom. When we think of Communication, Critical Thinking, Creativity, and Collaboration one of the best things you can do is ask your students to explore the world of audio and video. When we think of our students, we describe them as being auditory, visual, or kinesthetic learners. All three of these learning styles are extremely present in podcasting. Most important when we create a curriculum with Bloom's Taxonomy in mind, we remember that the highest level of learning is to be able to teach back a subject that we have just learned. 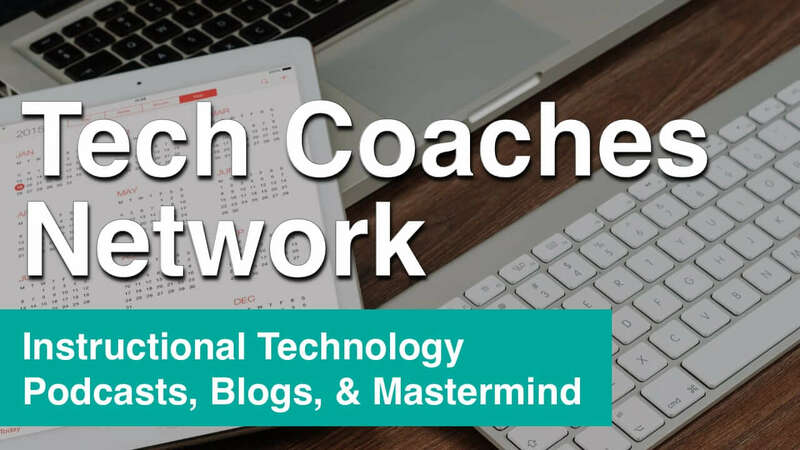 By creating short-form audio or video podcasts, we are making sure that we are addressing all learning styles, all four C’s and reaching to the top of Blooms with each and every lesson. Plus … Podcasting is FUN! Does this product cover any standards? “This means you can create a Podcast for students and teachers to a contribute to like a Recap Queue or Flipgrid Grid. Then listen to it with the convenience of doing it while you commute, do chores and more. #Boom! Also what a #GridSmash that is!” Holly Clark at hollyclark.org. Synth is extremely easy to use. When using the mobile application, it only takes a few simple clicks to create a robust audio or video podcast complete with written transcription. Sharing your synths is equally as easy to do and can be shared with all of the major platforms for maximum visibility of your podcasts. 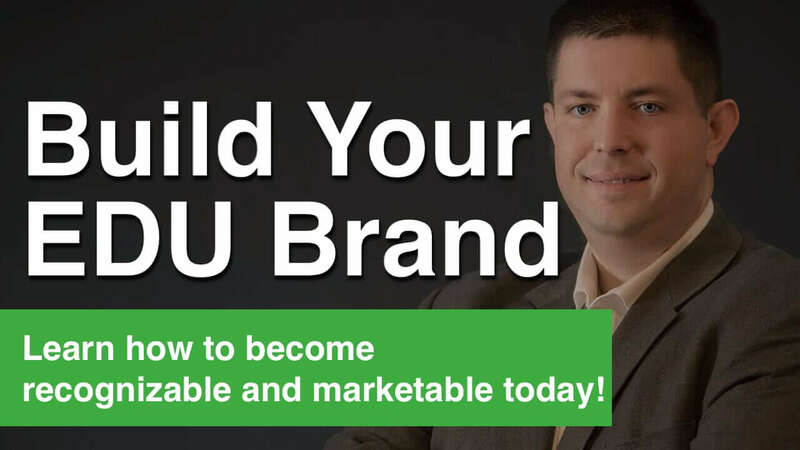 For the last 8 years, I have been searching for that perfect application that I can bring into a classroom and within seconds teach students of any age how to create podcasts. As my own kids begin to reach the age of personal devices and technology, it’s even more important to me to find ways to help them communicate with their world while preserving their current vocal cuteness. Synth is just the perfect tool for the job. No matter if you are looking to create a simple audio assignment with your students or create a subscribable video series using high def cameras, Synth is helping educators go where no podcasting application has ever gone before. 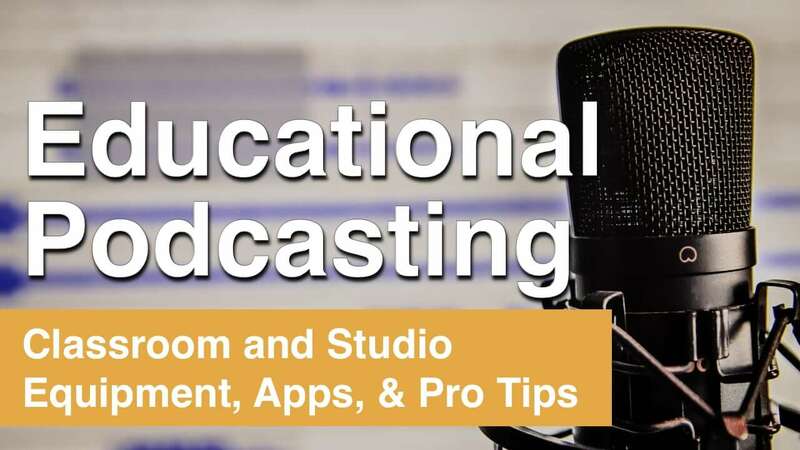 For the last 8 years, I have been searching for that perfect application that I can bring into a classroom and within seconds teach students of any age how to create podcasts. No matter if you are looking to create a simple audio assignment with your students or create a subscribable video series using high def cameras, Synth is helping educators go where no podcasting application has ever gone before.